Even today there is quite a lot to rave about in this game. 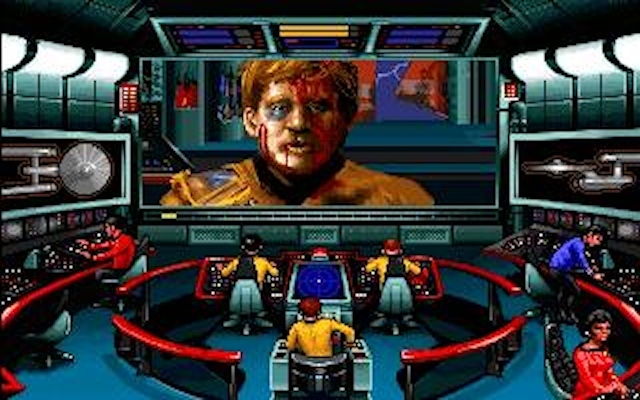 First is the fact that the entire cast of the classic Star Trek series has led their voices to this game, a feat that of course can no longer be duplicated. 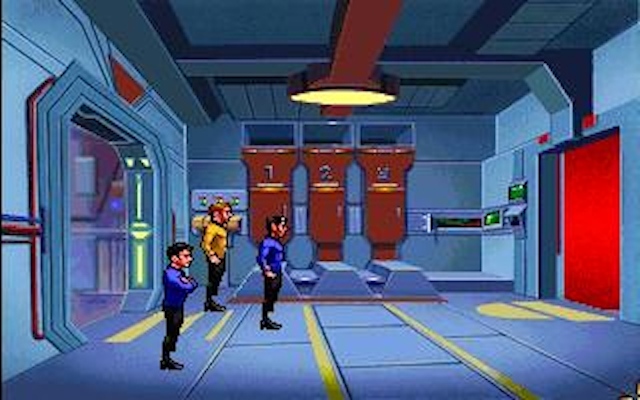 You get to hear the voices of William Shatner, Leonard Nimoy, Deforest Kelly, James Doohan, George Takei, Walter Koenig, and Nichelle Nichols. You even get to hear the voice of the U.S.S. Enterprise Computer, Majel Barrett. They make you feel that you are actually participating in an episode of Star Trek instead of just watching one. Second is the beautiful graphics in this game. They are colorful and perfectly fit to the mood of each episode in the game. Third is the refreshing conversation mode. It is great fun picking among all choices available and seeing which is the right response. This part can be a bit challenging as it often makes you wonder in hindsight if you have chosen the right response. Last is the extended length of the game. 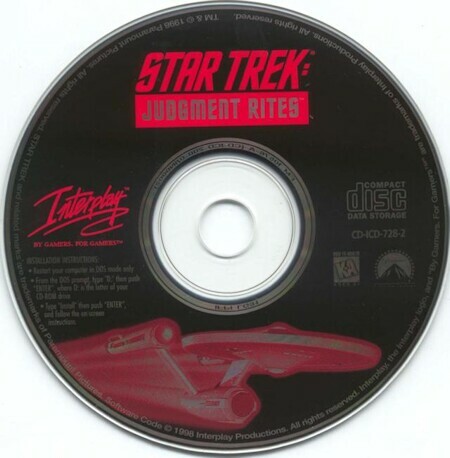 Rather than having a single plot, the story of Star Trek: Judgment Rites basically unfolds over a bunch of episodes that you play to get to the end of the game. The main plot has Kirk and his crew trying to find the whereabouts of a mysterious alien race called the Brassica. Kirk first learns about this race in the episode "Light And Darkness". Over 8 episodes, the crew meets many old friends and old enemies, including the Klingons. In the final episode, Kirk must come face to face with the Brassica and undergo the ultimate "judgement rite" to see if the human race is worthy to befriend the Brassica. The game uses a classic point and click interface that is simple and effective. The simplicity is a definite welcome for the novice or causal gamers who just want a cursory Star Trek experience. 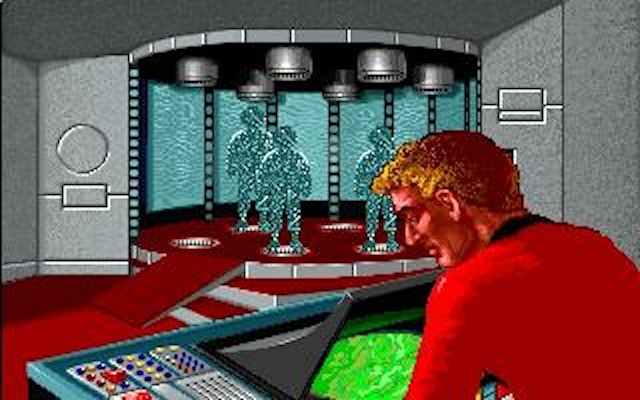 The original Floppy Disk version does not include voices and all the cinematic scenes. These are available as a separate "Movie & Sound Pack Add-on" for the game. The add-on contains more than 10MB of added sound effects, cinematic scenes and cuts, and new story transition sequences. The gameplay is simple but entertaining. Even though the episodes are linear, they are still enjoyable to play. Choosing among the responses during a conversation with other game characters is fun as there are a lots of conversation paths. When you choose a particular response for Captain Kirk, the result depends on whether or not the character with whom you are conversing likes your reply. You can use either the escape key or a keyboard shortcut (such as "L" for look and "W" for walk) to activate a command, including walking, looking, using something in your inventory, or talking to a character or a member of your away team. A nice feature is that when you look around your environment, a female voice explains in detail what you are looking at. Settings are available to you to choose the level of difficulty you want for the space combat sequences. You can even choose the option to have no space combat at all. I suggest that you choose this latter option if you do not like any action play in your adventure gaming. There are not many movie sequences within the game, and the ones that are there are extremely short. It is obvious that the designers want you to focus on the gameplay and not the eye candy.